If you are a vegan born before 1995, likelihood is you were a vegetarian first. I, born just a little before 1995 (side eye), became a vegetarian at 13, before seeing the light and going full vegan. In my veggie days, I lived on Quorn. I loved their products; the taste, the texture, the variety, the versatility, the affordable price and the ubiquity. I bemoaned having to give up some Quorn products once I went vegan, but lo and behold, Quorn weren't sitting on their backside, they had noticed the plant-based market was growing and, much to my joy, veganised some of their classic products. 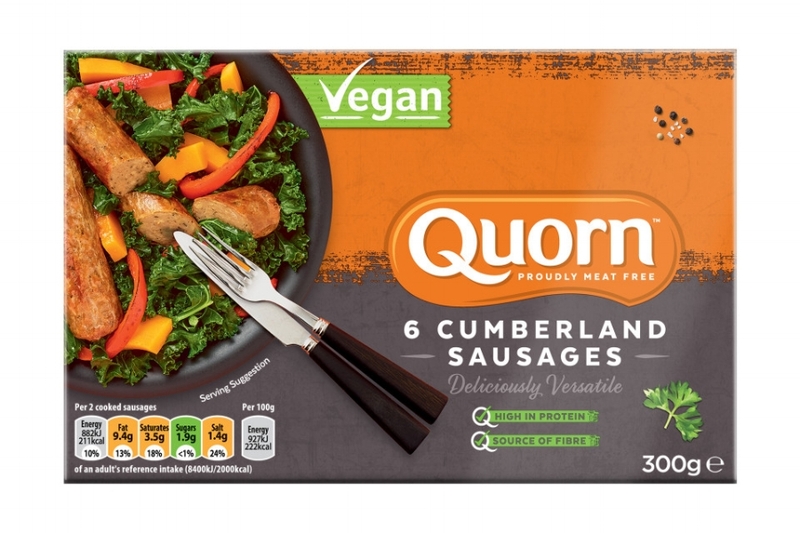 The Quorn vegan range now has a whopping 13 products on offer, with the recent addition of Chicken Free and Smoky Ham free slices and their latest, Cumberland Sausages. Being somewhat averse to cooking (yeh, I know....), I am a huge fan of vegan meats and vegan slices. Little or no cooking is required, they go well with salads and vegetables and they taste delicious (and I seriously urge you to try out their new slices - so good, so convenient, so easy to track down!). With more products regularly added to their vegan line, we suspect it's going rather well. We've spoken to Quorn to find out how their vegan range is performing. Why did Quorn decide to start making vegan products? How have customers responded to Quorn's vegan range? The response has been hugely positive from consumers with Quorn vegan product sales currently worth £10.1m. This is certainly good news to our ears. Now we are off to track down Quorn's vegan Cumberland Sausages!